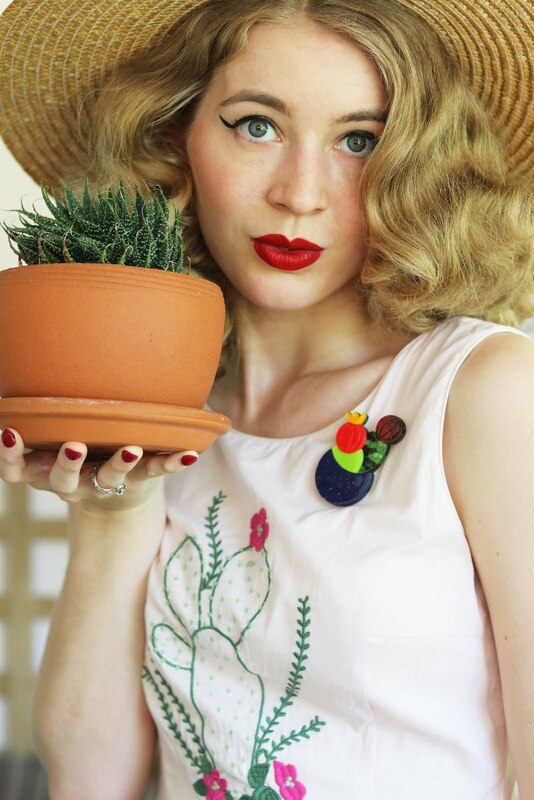 Today on the blog I'm sharing one of my outfits from my holiday. 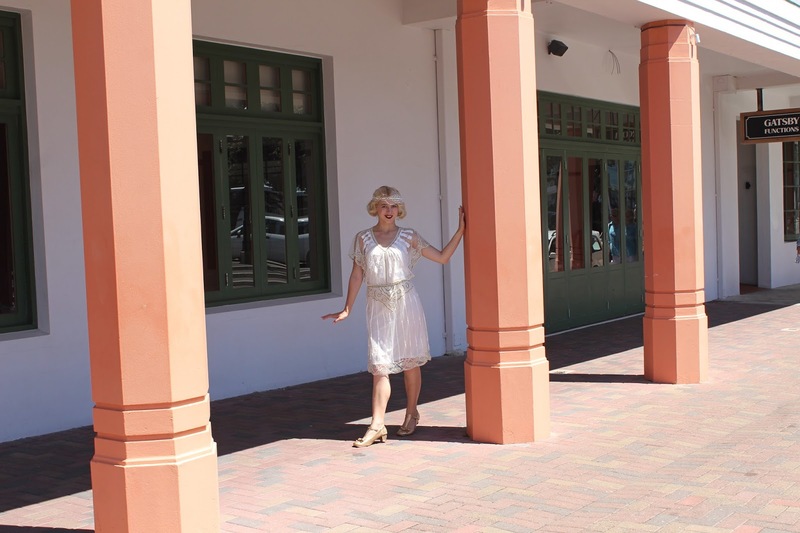 I was very excited to wear this amazing Gatsbylady dress in Napier, New Zealand. 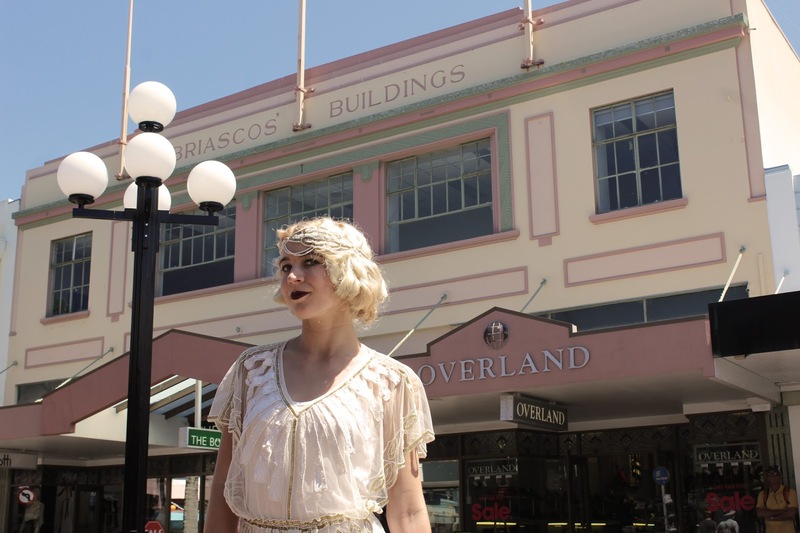 I was really excited to visit Napier when I was in New Zealand recently, it is full of beautiful Art Deco landmarks and not to mention the beautiful beach side views. Napier is also a large producer of various fruits, wine and other produce which makes it a very interesting place to visit. I don't drink but I ate lots of fresh fruit and had plenty of water as it was hot summer weather. 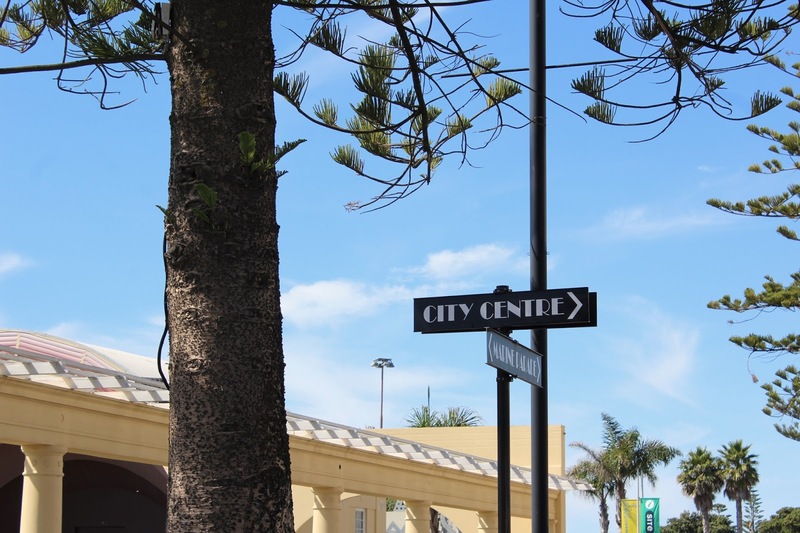 My family have spent a lot of their time in Napier, my mum used to holiday there with family at her Aunt's house when she was a kid and my dad grew up there for a while during his childhood too. So after being told about Napier for quite a while now it was really nice to spend a couple of days there with my mum, Aunt and Grandmother and to hear them reminiscence about summers spent by the beach. I packed a few of my 20's outfits and one of them included this absolutely stunning Gatsbylady dress, which I was immediately drawn to for it's beautiful detail and elegant angel sleeves. It features a built in slip and an elasticated waist which makes it really easy to get on and off, this was very convenient to put over my hair after I finished styling it in the morning. I went with size UK8 and found the fit to be true to size, plus the elasticated waist makes this style fit with ease and convenient if you are worried about sizing. I love the beading and I like that it is a bit lighter than some of my other flapper dresses, this made it easy to pack because I was very close to my luggage limit, oops! 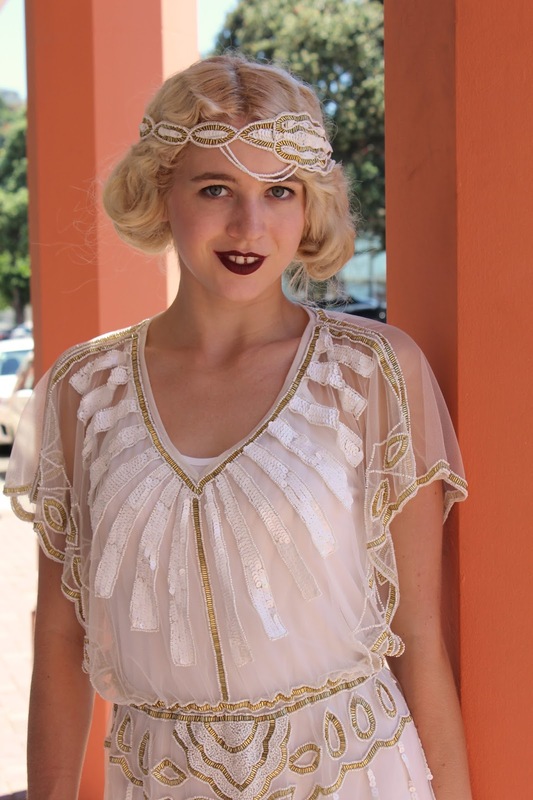 I have always loved flapper headbands and Gatsbylady creates really classic pieces to go with their dresses.. I turned the headband slightly to the side as I liked the way it sat and you could still see my finger waves. It was very busy couple of days in Napier and I received some lovely comments whilst wearing this dress. I was so in awe of this beautiful town and really enjoyed my time, I have a few more posts from my trip to Napier to share which will gradually make their way to the blog. You just look great in that dress! 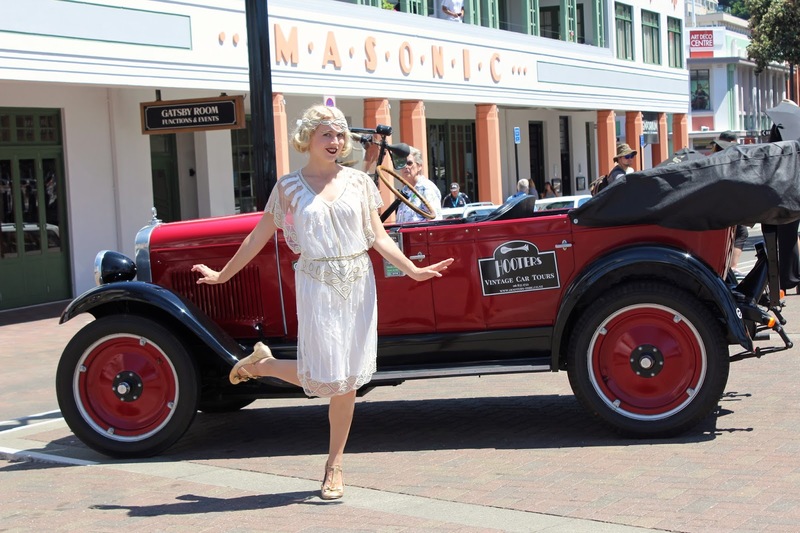 These photos make me want to go back to the roaring twenties. 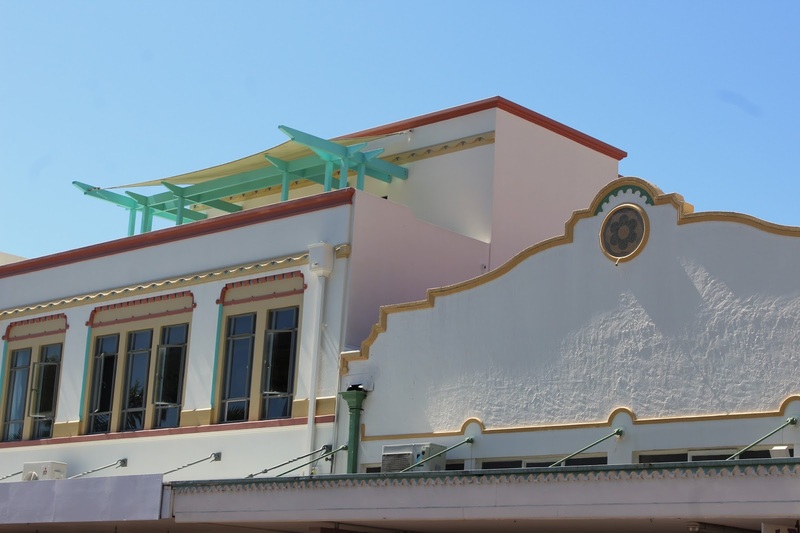 The art deco architecture in Napier is really amazing, I would love to visit it one day. You look wonderful - you could easily be at a high society event in Downton Abbey!! What a stunning dress and a perfect place for these photos! You look gorgeous and it looks like such an amazing holiday! What a sweet dress. It is such a delicate look with those fluttery sleeves and the more simple, lighter beading. Very glamorous!!! Ravishingly gorgeous! 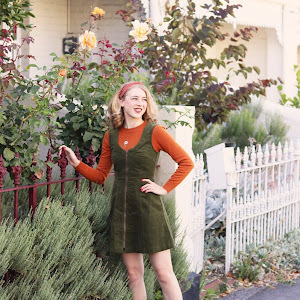 I've said it before, but I'll happily say it again, you + the 1920s are a match made in vintage fashion heaven!